The original svg files for this image may be found here. The three Minor Thirds Cycles (like C, Eb, Gb, A) are the squares. 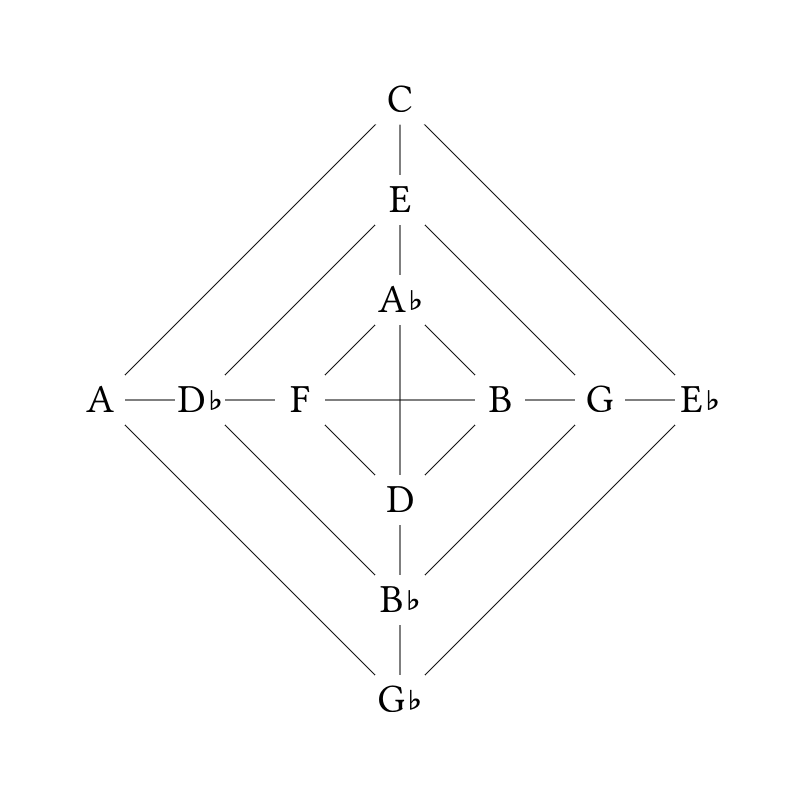 The four Major Thirds Cycles (like C, E, G) are located in three note groups to the sides of center. Tritones are located directly opposite each other in the same square, just like in the traditional circle of fifths or chromatic circle. Perfect Fourths move inward and clockwise, Perfect Fifths move outward and counterclockwise. When you reach the outermost square you return to the innermost, and vice-vesa. 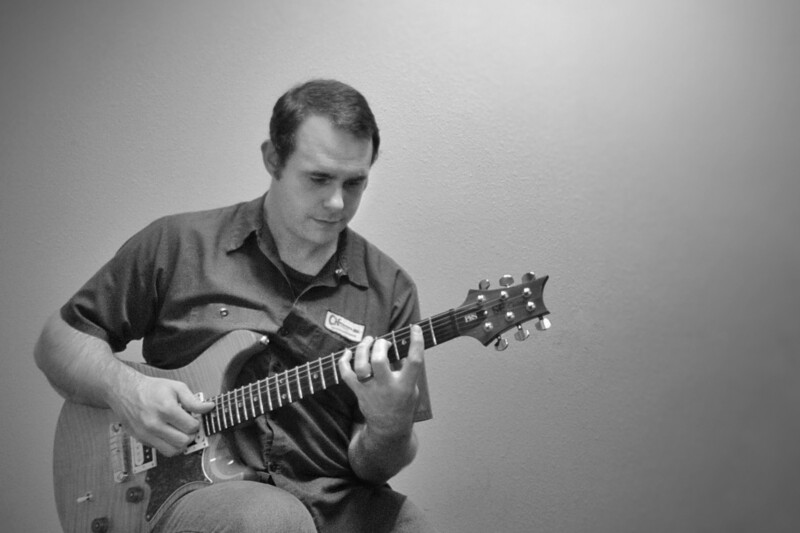 Whole Tone Scales are a complete vertical or horizontal line. Whole-Half Diminished Scales are a square and the next square outward. Half-Whole Diminished Scales are a square and the next square inward. Augmented Scales are a major thirds group and the next group clockwise. Inverted Augmented Scales are a major thirds group and the next group counterclockwise. Messiaen’s Third Modes (what Allan Holdsworth calls “two halves and a whole”) are a major thirds group and the groups clockwise and counterclockwise. Very cool – thanks for the enlightenment!